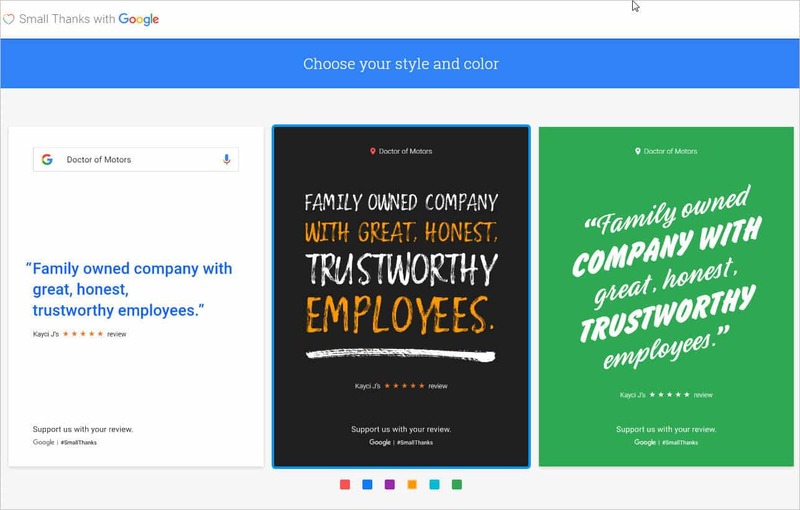 Here’s a simple, helpful tool from Google that will help reinforce your brand and reputation. 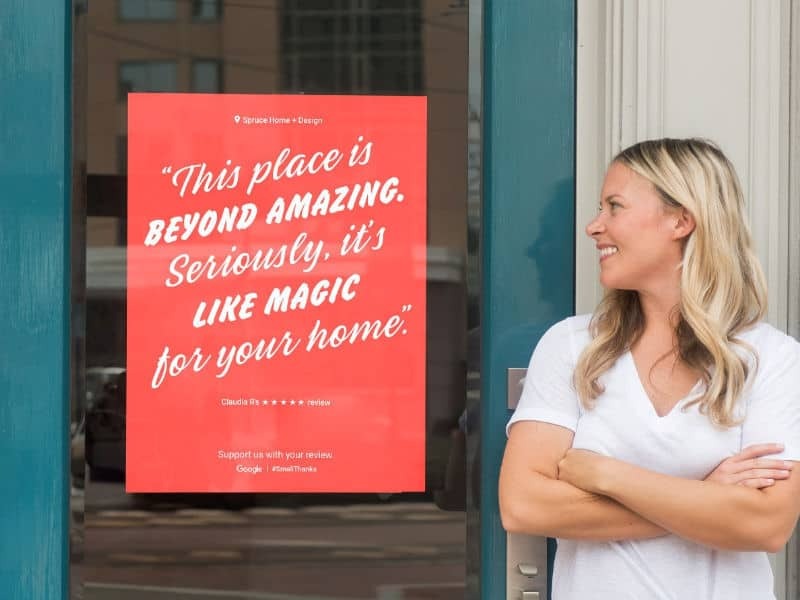 The idea is to “Turn your customers into your greatest advocates” by printing out selected reviews and displaying them as posters, flyers, postcards, etc. The tool is free and simple to use; just pick your reviews, the layout (either one or three reviews on the poster), and your preferred design. Then send the .pdf file that Google generates to your favorite print shop. Who knows how long Google will offer this service, so if you like to idea of promoting your reviews in print form, go for it. 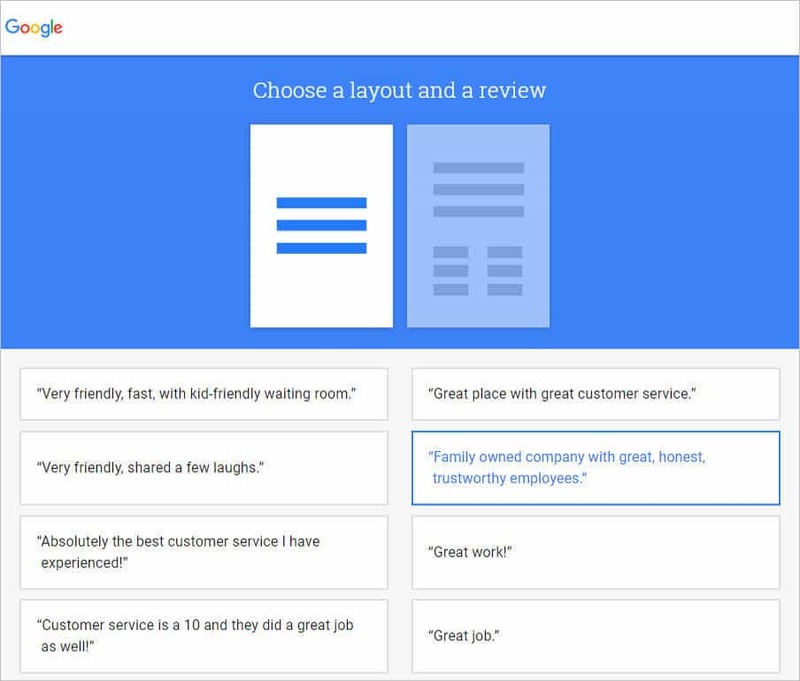 Reviews are a keystone concept in local SEO because they contribute to “social proof” — the public’s assessment of your business.